This drawing is for dimensional data only, the actual part may differ in appearance. See a photo of the actual part below. This clamp is a MS28042 2" size, 1" deep, anodized per MIL-A-8625, type1, class2, with brass screws. 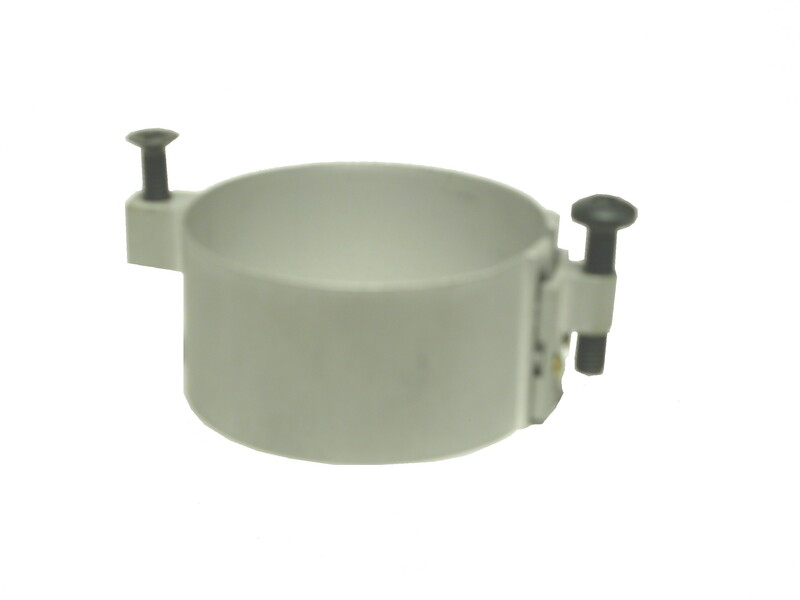 This clamp is designed to meet the requirements of NASM28042-1A, or MS28042-1A. This clamp is superior in design and function to part numbers 5801-A or NH11002261-10, 50-324233-21, or Dexter-Wilson 123-31.